The Pee Dee Nephrology team of doctors diagnose and treat all types of kidney disease and hypertension (high blood pressure). Pee Dee Nephrology doctors specialize in helping patients with renal hypertension via consultation, blood pressure medication, and monitoring. 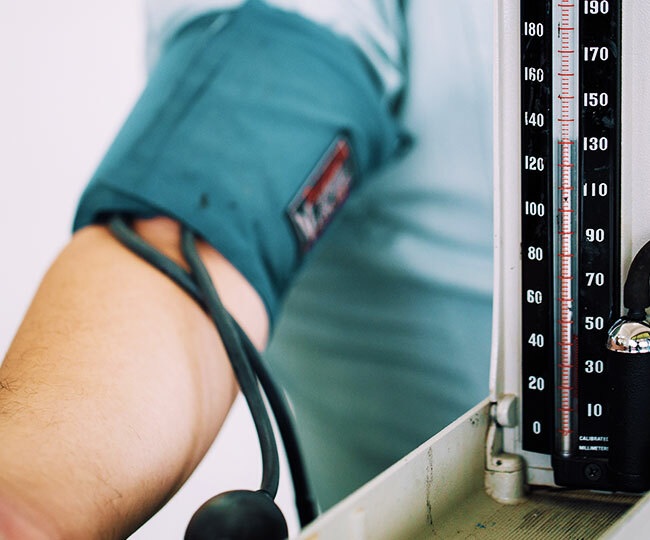 Elevated blood pressure caused by kidney disease is known as, renal hypertension. Renal hypertension happens when the arteries narrow that deliver blood to your kidneys. The kidneys react to this low blood flow by secreting hormones that cause the body to retain sodium and water ultimately causing blood pressure to go up. Many people don’t know it, but Kidney Disease and Hypertension are no stranger to one another. With High Blood Pressure, the blood vessels in the Kidney can become damaged. This damage can create difficulty in removing wastes and extra fluid from the body, which can worsen hypertension.